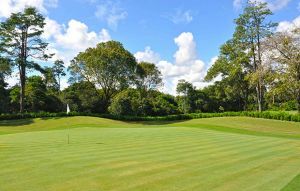 Making full use of the natural topography, this is an inspired creation as you play through a series of tough holes full of dramatic elevation changes, with thick pristine rainforest teeming with wildlife to either side ensuring that your wayward drives are thoroughly punished – go into the jungle and you’ll likely have to give your ball up for lost, all too easy to do when faced with the tight tee shots you’ll often have to play. 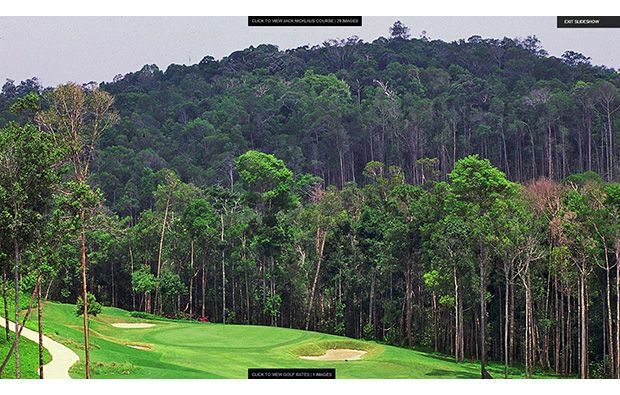 Even reaching the pristine fairways won’t ensure an easy ride to the very quick greens, as the heavy undulation results in some blind approaches where judging distances is tough, particularly from the slender fairway of the par-4 10th. Some particularly deep bunkers surrounding the often elevated greens cause plenty of problems, and water on five or six holes threaten to add significantly to your score, particularly on the 8th and 9th, a pair of picturesque par-4s that wrap around a small lake. 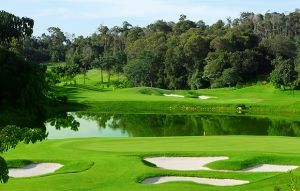 A couple of water-protected par-3s, the 5th and 14th, will trouble and captivate you in equal measure, but in many ways this is par for the course around what is a quite spectacular golf course. Well away from the traffic noise and housing developments that so often take away from a golf course, every hole around here feels like an adventure, and many of the greens are surrounded by steep slopes that create a natural amphitheatre for the on looking monkeys, who are quick to steal any unsecured food or valuables. 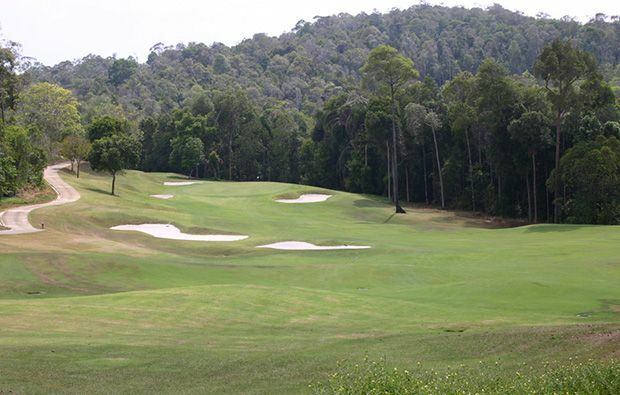 While you’ll have to be at the top of your game to score well, in many ways you won’t mind a big score because this masterpiece of a course is an experience, and you’ll really have to be having a shocking round to fail to have a smile on your face as you tackle its numerous scenic challenges. 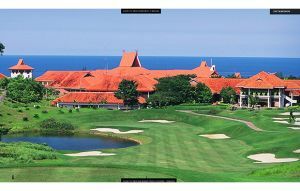 A must-play on any Bintan golf holiday, particularly when you take into account the chance to also play on the Jack Nicklaus course before having a refreshing drink in a clubhouse ranked amongst the very best in Asia. 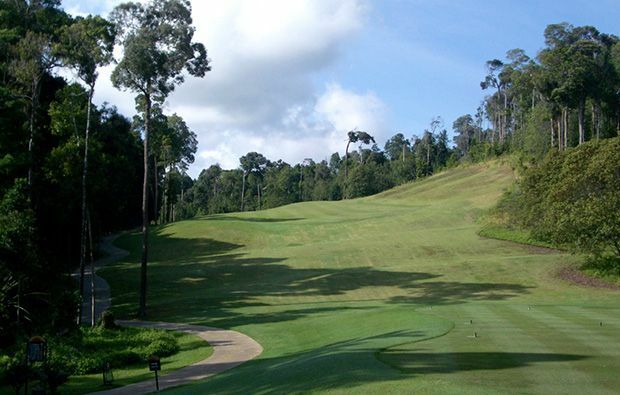 If you are interested in playing 18 holes on this challenging course then you can book a tee time at Bintan Lagoon Resort – Ian Baker-Finch Course by select your chosen date from the top of this page. 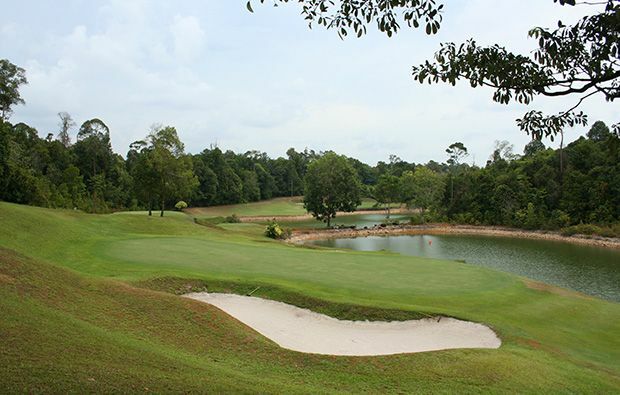 Bintan Lagoon Resort Ian Baker-Finch Course has different Services to offer. Choose a date and number or players to see the rates.